Mobile gambling is becoming increasingly popular among casino and gaming enthusiasts. If you have always felt how convenient it is to be able to play online poker or blackjack from your very own laptop via any internet connection, you will love the idea of mobile gambling. With all of the advance technology of this day and age, of course casino games were going to eventually be brought to the mobile phone industry. It is the next logical step in the online gaming and casino industry. Imagine being able to gamble and win big from your very own phone at any time of the day. While some may think negatively about this concept, online casino game lovers are thrilled. 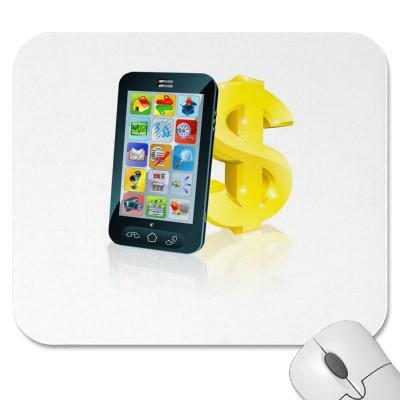 Some of the phones and devices supporting mobile gambling are the Smart phone, IPad, Android phones and iPhone. If you need more convincing that mobile gambling is the way to go, here are five benefits of gaming on the go. Mobile gambling is popular because you are in fact just that, mobile! You can play online blackjack, poker, roulette and other fun casino games from wherever you are. You can enjoy mobile gambling at any type of the day whether you are visiting with friends or babysitting your nephew. The rules and restrictions differ from real casinos. When you play online you have better odds of winning and less restrictions on bets and more. The majority of online casino games have high security and you have the reassurance that your money will be safe as you play. Another benefit of online gambling and playing from your mobile is that you can avoid annoying people who may distract you from your game. In a real casino there are people everywhere, bumping into you, stealing your seat and some may even try to steal your winnings. When you play from the convenience of your own mobile phone you are on your own to concentrate. When you are mobile gambling you don’t have to tip the casino dealer as many people do in real casinos. There is no obligation to do anything at your table but play and win. Mobile gambling can also prove beneficial because there are so many features such as online chat, online help, leader boards and even multiplayer features. You actually get more of an interactive experience with mobile gambling than you would in a real live casino. While these are just a few of the top benefits of mobile gambling, there are many more. The number one reason people enjoy mobile gambling is the fact you can take it anywhere and access it anywhere that there is a Wi-Fi internet connection. Online mobile gambling apps are quite affordable and easy to download. You can be up and running and trying your hand at lady luck in no time and from anywhere you want. Mobile gambling is increasingly popular and it is the wave of the future when it comes to online gambling and online casino games available for downloading.